If you are a licensed real estate sales representative or Broker in Ontario, then you understand how much it takes to keep your license active. Year in and year out, you will need to pay a significant amount in fees just to maintain active status with the Real Estate Council of Ontario (RECO). The fact of the matter is: not all real estate license holders work in real estate full-time, and most, would like to reduce the amount of monthly and annual fees they pay just to keep their license active with RECO. If you're one of the many real estate professionals who is looking for a better way to maintain your license's active status while you're busy with other endeavors, or if you are looking to join an organization that can help you make the most of your Ontario real estate career, there's no need to look anywhere else. You're exactly where you should be. At our real estate Brokerage, we help both new and seasoned real estate sales representatives and Brokers in a variety of ways—but more importantly, we help them maintain their Ontario real estate license more affordably. When you join us, we will confirm all showing and inspection appointments by phone, text, or email when we receive them. We will also assist in writing up an Agreement of Purchase and Sale for the real estate sales representative or for the clients they represent. With more than two decades of service in the Ontario real estate community, we have helped (and continue to help) hundreds of fellow real estate professionals make the most of their real estate career, without having to spend nearly as much. With us, you avoid board fees, desk fees, OREA and CREA fees, as well as franchise fees. 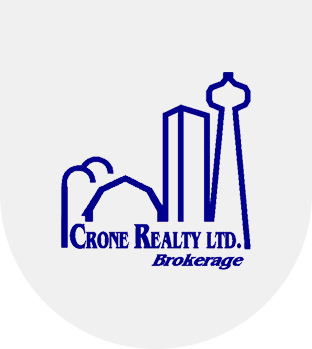 Transfer to Crone Realty Ltd. now. We are only a phone call away. Call us at (905) 771-9569 or toll-free across Ontario at 1-888-465-3542.